Are these bubbles on my leo’s Neck the same as the bubbles behind her arms? Thread: Are these bubbles on my leo’s Neck the same as the bubbles behind her arms? This bubble is on both sides of her neck. It feels kind of squishy to the touch. She has also been hiding a lot more than usual recently. She is eating fine though. Last edited by thefatshark2; 11-27-2018 at 06:21 PM. I don't usually see bubbles there, but I assume they're the same as what's under the arms. Anyone with a different opinion, feel free to weigh in. If they are on both sides and it doesn't hurt her when you touch them I too assume they are the same as what's usually under the arms. I have never seen those in that area though. Me Leo has the same thing but not on both sides. Then I would probably ask a vet about it, to be sure. bIt reminds me of thyroid problems in humans. It doesn’t look normal. Taking him to a vet will be good. Better safe than sorry. Quick question, not to hijack this thread, but what exactly are these 'bubbles' I keep reading about? Is it something that indicates sickness? Bubbles: sometimes geckos get a squishy swelling in the armpit. It feels kind of like a bag of air. It's not clear to me if that means they have too much calcium or what. Years ago it was considered a sign of a female in good breeding condition. In general, it doesn't seem to be something to worry about. "bubbles" in neck and relation to thyroid problems: even though humans can have swelling in the neck as a sign of a thyroid problem, I don't think there's any relationship here. The human thyroid is in the neck and if it is diseased it swells. This is called a goiter and is a hard swelling, unlike the squishy swelling you're describing. 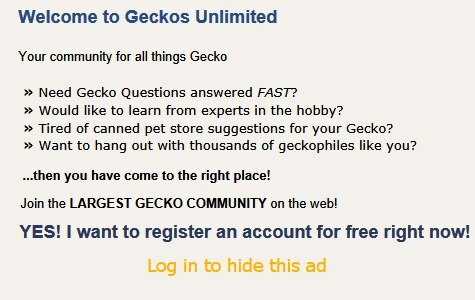 I don't even know if leopard geckos have thyroid glands. I don't even know if leopard geckos have thyroid glands. Yes, they do have thyroid glands, and they can cause a lot of problems if the gecko is not eating a proper diet. It's impossible to tell what caused those lumps, could be thyroid, fat or calcium storage, or something else. The only sure way to tell is by getting them checked out by a competent vet.